If there is one invention in the American motorcycle canon that continues to influence the world, it's the chopper. This idiosyncratic counter-culture creation of independence and rebellion, born out of America's tumultuous 60s, is still revered around the globe with romantic leanings, standing as a symbol of individualism. 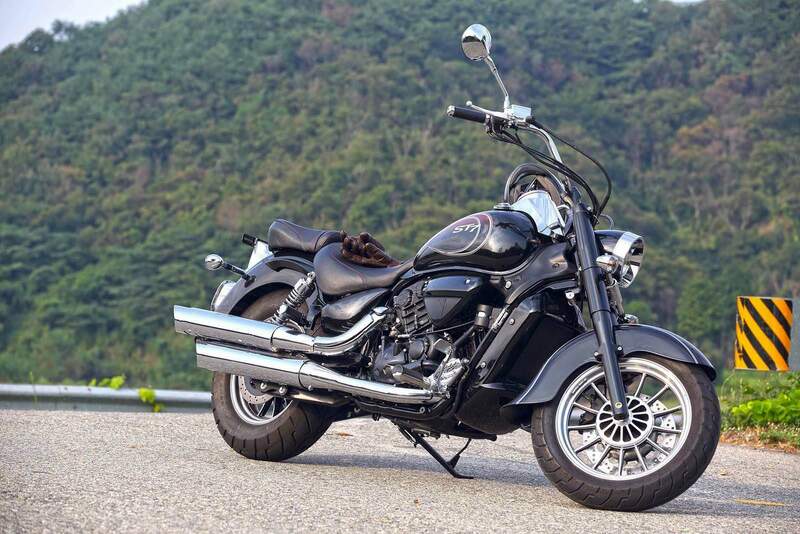 South Korea's largest motorcycle manufacturer, Hyosung, is embracing the heavy cruiser heritage and unveiled their own interpretation of the chopper at Intermot 2010 in the form of the Hyosung ST 700i. 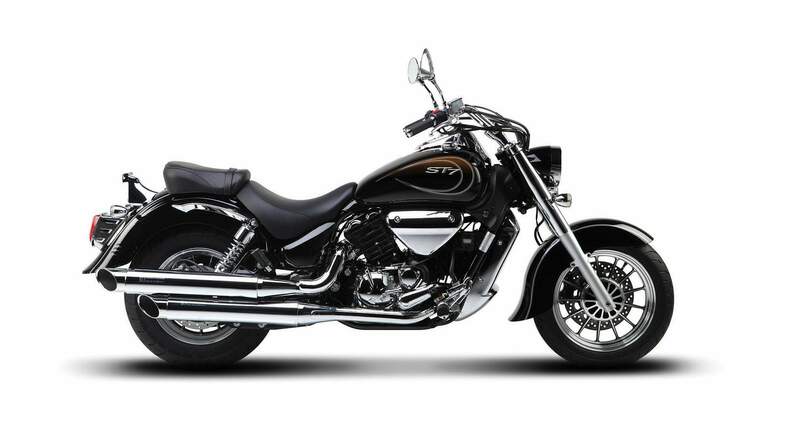 Proudly proclaiming their newest creation as a modern chopper in the American cruiser tradition, the ST 700i possesses a V-twin engine, low slung seat, twin pipe exhaust with slash cut tips and swept back bars. 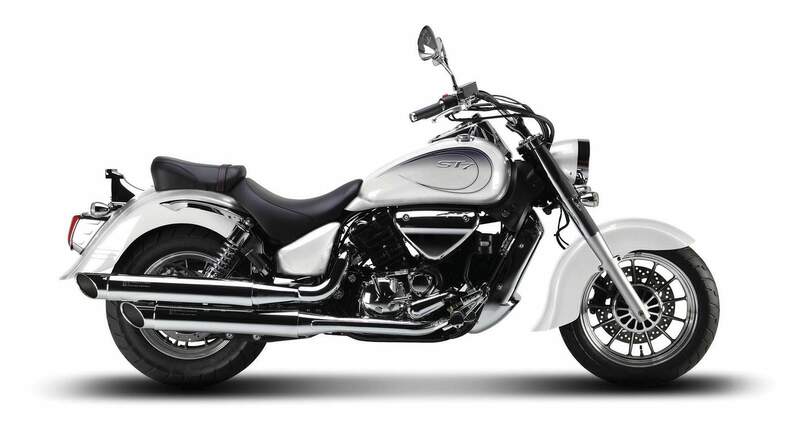 The 680cc, fuel-injected engine produces 63 horsepower and runs through a 5-speed gearbox with final belt drive. 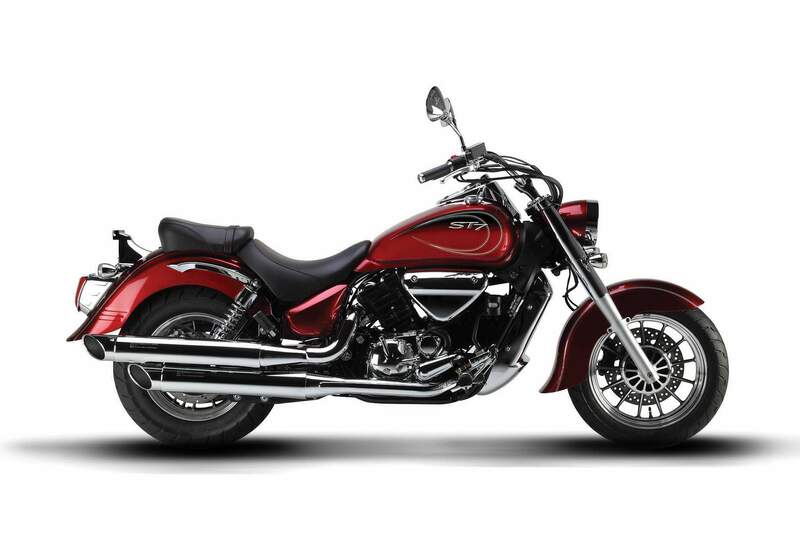 Borrowing from the classic chopper persona, this Hyosung motorcycle promises plenty of torque, for the all-important aspect of acceleration, as well as touring comfort. The ST 700i is wrapped up in plenty of chrome, which sets off the impressive heavy custom persona that is surprisingly imposing for a motorcycle manufactured in South Korea-a country traditionally known for small displacement scooters and 2-stroke motorcycles. Marketing materials proclaim premium brakes and an abundance of classic chopper features such as stylish cast wheels, big, sweeping fenders, and the absolutely necessary "fine-sounding exhaust." Easy to read instrument cluster and speedometer is mounted on the crest of the 17-liter fuel tank. Adjustable shocks, large mirrors and plush seat are designed to accommodate rider and passenger. The whole package plays into Hyosung's desire to produce a purebred custom cruiser motorcycle to take on the vaunted realm of chopper in the tradition of an American original. As they say, imitation is the finest form of flattery.